Allegro has been investing in seed and early stage technology companies for over 20 years. We are typically the first institutional money into a company – either with or immediately after the friends-and-family round. We continue to back our companies, following through the life of the company. Over the past 10 years of investing, our portfolio has included such companies as Bazaarvoice, Tripwire Security Systems, Switchfly (formerly EzRez), OrderGroove, Experience Project, and Coremetrics. For early-stage companies, it is vital to make the distinction between a compelling vision and a sound strategic plan. Too often, companies take on a large tranche of capital in the early stage, forcing the company to grow before the business model is really set. We work with our companies to build the sound plan to ensure our companies can then truly benefit from later-stage capital designed to fuel growth. A key component of our approach is to perform a “360 due diligence.” Given the inherent uncertainties in launching new businesses, improving the likelihood of success requires bringing more than just money to the table. We invest in companies where we feel we have the right set of contacts and/or skills to fill in the gaps needed to help company reach the growth stage. We bring substantial personal entrepreneurial experience coupled with Fortune 500 best practices to ensure our companies receive the strategic and operational support necessary to succeed. 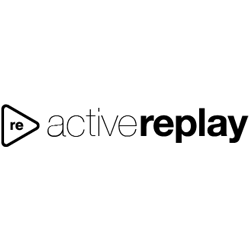 AlpineReplay gives skiers and snowboarders ultimate bragging rights. We measure speed, airtime, vertical, Calories, distance and more, on any mountain in the world. Compare and compete with anyone, including yourself, with the click of a single button on your iPhone or Android. Edgecase is the platform behind today’s most inspiring shopping experiences. Using a proprietary combination of machine learning and human content curation, the Edegcase platform allows shoppers to communicate their unique preferences, context and style to discover products and make confident buying decisions. Feed.FM is an online music licensing service for business and commerce. We call it “Music as a Service.” Feed.fm is an affordable turnkey solution empowering connected business with fully-licensed popular music to build engagement, brand and sales. Lawn Love is bringing a tech-enabled approach to the traditionally low-tech lawn care space. We make it incredibly easy to find, book and pay for a great lawn service. Other Machine Company (OMC) is at the forefront of the digital desktop manufacturing movement, because the future is small-batch, ultra-customized, and on-demand. Like in the early days at HP and Apple, OMC transforms industrial tools into consumer products and aims to put them in every home and business. OMC is full-stack, with an ecosystem of computer-controlled hardware, software, marketplace, and community that enables everyday people to directly harness the power of modern manufacturing. Order Groove provides highly scalable, secure, and innovative subscription commerce technology, enabling retailers to focus on running and growing their business, not managing software. Pley makes it possible for kids of all ages to rent LEGO sets, saving hundreds of dollars per year in toys that are played for a short time and then often neglected. Through creating a sharing economy that reduces waste and enhances kids' cognitive skills, Pley’s goal is to change the very paradigm of playtime by providing an affordable subscription service for educational toys. SALT is redefining and delivering Omni-Commerce for merchants. We have an end to end PCI Compliant platform, with advanced fraud detection, developer friendly APIs, One Toucheasy checkout, secure token storage, silent redirect and more. Spredfast and Mass Relevance have joined forces to create the first and only software platform to integrate social into every marketing function. The merger is driven by a shared mission to empower clients to access every piece of social data submitted in real-time, uncover conversations that matter to their brand and create meaningful interactions with their audience across channels. With greater insights from social data, and more solutions to build social experiences across digital touch points, brands and media companies will finally be engaged with consumers at the speed of life. Tango Card is platform which fuels customer engagement and employee retention. The Rewards as a Service™ API allows easy integration of digital rewards programs, and Rewards Genius™ facilitates a seamless branded rewards experience. Modern companies need to send rewards to their customers, partners and employees, but they don't need to do it themselves. Trace is the action sports giving sports enthusiasts the ability to track their session performance with auto-edited video. Trace integrates with GoPro, iPhone and Android and then color corrects video, adds stats providing pro quality highlights without any effort. And Trace logs info like leader boards, activity level and more. Julie is the founder of Allegro Venture Partners and has spent over 20 years in the venture business as investor and operator. Julie has a strong background in investments in SaaS, internet infrastructure and digital media. Julie's network into the sports, media and technology worlds have proven real accelerators for entrepreneurs, investors and other stakeholders of her initiatives. Julie has led and syndicated investment rounds for start-ups, helped drive corner stone business development deals and was instrumental in attracting key talent for the fund's portfolio companies. Prior to AVP, Julie was the founder of Constantin Partners, also a seed stage investment fund. She was also the Director of the Internet Initiative for PFI, a telecommunications start-up which built fiber optic networks in 14 cities. Julie is on the board of several of the fund's portfolio companies such as Tango Card, Pley, Kanjoya, Alpine Replay, Feed.fm and an advisor to OrderGroove, Onor and SALT. Julie is the Founder and Chair of The V Foundation Wine Celebration, a charity wine auction which has raised over $59M for cancer research. Julie also serves on the national board of The V Foundation for Cancer Research, an organization that was started by Jimmy Valvano and ESPN in 1993. Julie holds an MBA in Finance from The Wharton School, University of Pennsylvania and a Bachelor of Science in Entrepreneurial and Strategic Management also from The Wharton School. Philipp is a Venture Partner to Allegro Venture Partners. He brings domestic and international mobile, online, ecommerce, digital marketing, cloud, data-science and enterprise software experience. Philipp is the Founder & CEO of Onor, a start-up in native & immersive marketing. Philipp is also a Founding Principal at Dropimpact, an Innovation Catalyst and Think Tank in Silicon Valley. He was part of the Senior Executive Team at Adchemy (acquired by Walmart) and led strategic sales and client services. Prior to Adchemy, Philipp was a Managing Partner at Accenture focusing on growth strategy and innovation. Most recently he was a Founding Partner of Accenture Interactive (now Accenture Digital), a now leading global marketing practice with more than 4,000 digital marketing and data sciences professionals globally. 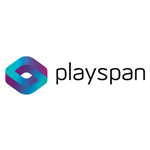 Philipp is an active investor and advisor to start-ups such as Playspan (acquired by Visa), NoiseToys (acquired by Jawbone), Appstores (acquired by InMobi), PubMatic, Angellist, Powerinbox, Pley, Active Replay, and Philz Coffee among others. Philipp holds a MS in Economics from the University of Applied Sciences in Zurich, Switzerland and an MBA from the Wharton School, University of Pennsylvania. Jess joined Aduro Advisors in 2014. Prior to joining the team, she was the Controller at JH Partners, a consumer private equity firm. Jess brings a unique perspective from her time at Legacy Venture, a venture capital fund-of-funds with a focus on philanthropic giving. She began her career in at PriceWaterhouseCoopers where her focus was on venture capital and biotech start-ups. Jess graduated from the University of California, Santa Cruz with a Bachelor of Arts degree in Business Management Economics with a focus on accounting.